This training is also great for yoga teachers who would like to gain a deeper understanding of Ayurveda and use it in their yoga classes. Women across Australia can rejoice because there is finally a course available that is specially designed to help you achieve balance, enjoy optimised health levels and, most importantly, that teaches you to take great care of your bodies and to help you to heal on a spiritual and physical level. We have all been there; seeking help from a medical professional with regards to women’s issues such as menstruation, menopause or even stress only to be met with rushed physical examinations and ineffective, medication focused treatments. There are few medical professionals out there who are willing to take on the complexities of women’s problems, and this is exactly why Ayurveda lessons are a breath of fresh air. 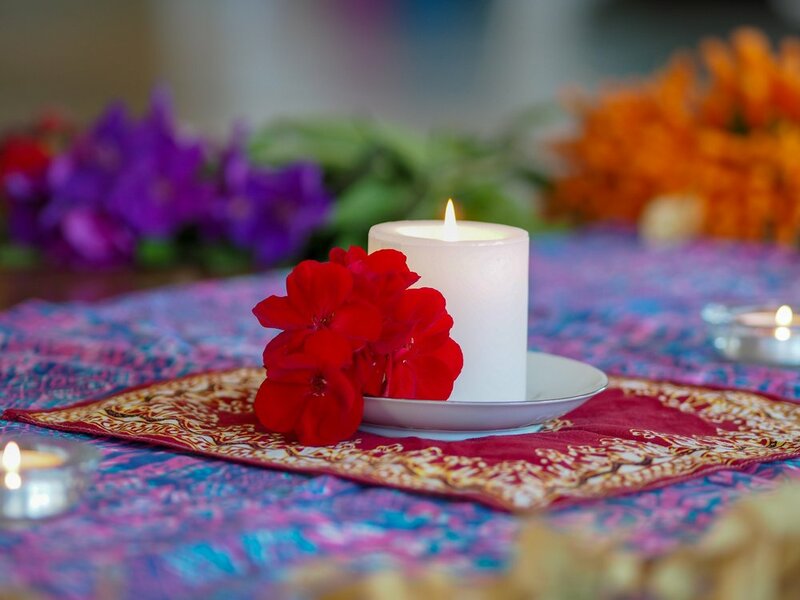 Being women themselves, our teachers do not shy away from all of the challenges of the female body and mind, and our courses are designed to help you find balance in your busy modern life, so you can live a full and happy life. How Do Our Ayurveda Practitioner Courses Work? Krishna Village is incredibly popular, and it is important to book your stay in advance if you want to avoid disappointment. If you want to enrol in this life-changing women’s course, then do not delay. Give us a call so you can secure your position in the upcoming courses. 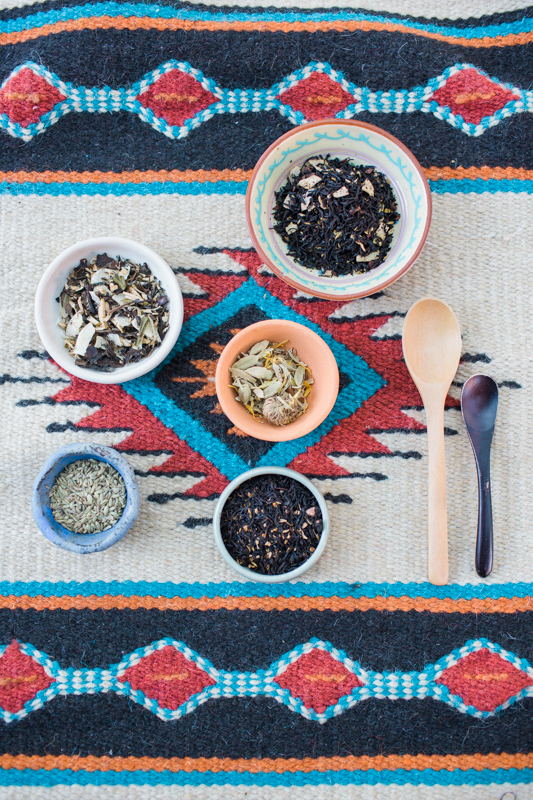 Katie Manitsas wears many hats including those of yoga teacher, activist, doula, vegetarian cook and mother-of-four. 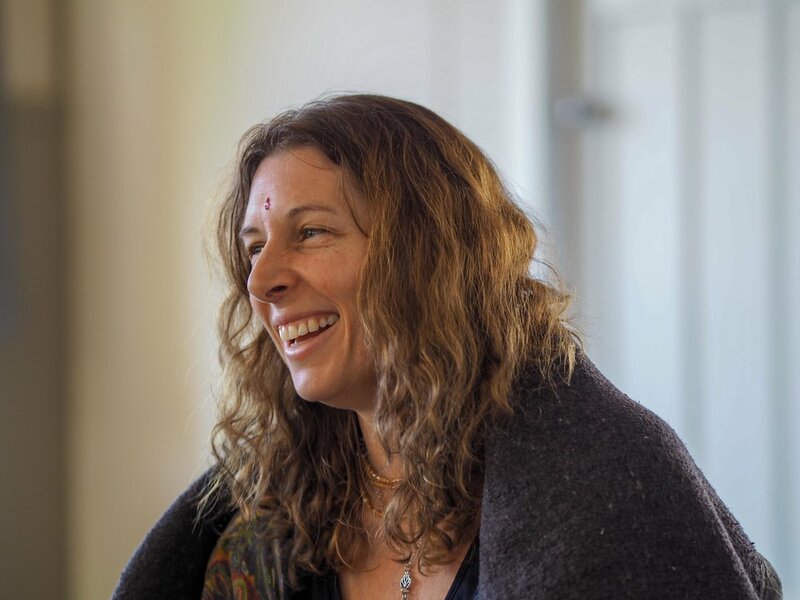 In the field of Ayurveda, Katie has studied extensively with the Wise Earth School of Ayurveda under the guidance of Mother Maya and broadened her approach further by training with Katie Silcox from Shakti School. She was the first certified Advanced Jivamukti Yoga teacher in Australia, is a qualified Kundalini Yoga teacher and completed her training as a doula (birthing companion) in 2009. Katie is the founder of Jivamukti Yoga Sydney (formerly Samadhi Yoga). She regularly trains yoga teachers and specialises in running Ayurveda courses and pre-natal teacher training. She lives in Sydney's Inner West with her her four sons. Curious? Find out more on Katie's website. For more details, please have a look at the complete course schedule. This training is presented in the format of a combination of lectures, demonstration, practices (such as gentle yoga and breathing exercises as well as chanting) and group interactive work. The six seasons according to Ayurveda and links to Indigenous Australian (Aboriginal) calendars and understanding of the Australian seasonal cycles. Please note: This training is not a fully accredited Ayurveda certification course. Certain modules can be used towards CPD points with Yoga Australia and Yoga Alliance. Homework: There will be some optional home practice assignments which will include cooking, journaling and meditation. The focus on this training is in sadhana based practice rather than academic study. Before booking, please have a look at our Code of Conduct. If you are dealing with any physical or mental health issues, please also check our Are you ready page. Before you book, please read our terms and conditions including our refund policy. Not from Australia? Figure out your rate with the XE currency converter. 3) If you prefer to pay in several rates, please select "Paying in instalments" in the additional options (+ $50) and pay a 20% deposit + 4 instalments (monthly or fortnightly, as required to complete payment before arrival). Krishna Village is located on a beautiful organic farm in the scenic foothills of Mt. Warning, half way between Byron Bay and the Gold Coast. Closest town is Murwillumbah, and the nearest airport Coolangatta (the Gold Coast airport). We can host up to 85 people in a combination of rooms, dorms and camping spots. There are usually around 30 full time volunteers who work in our organic gardens and maintain the grounds, 15-20 retreat guests or Karma Yogis and up to 40 course participants on a variety of courses that may run parallel in our different teaching venues. All rooms have shared amenities. The amenities blocks include showers, toilets and a coin operated laundry (byo laundry powder). The latest addition to the Krishna Village accommodation options is the Lotus Pod - a beautiful rustic Queenslander that has been fully renovated in 2018. Our newest yoga class room is on the first floor, while underneath we offer 7 retreat rooms with private verandahs. Each rooms is equipped with a double bed and available as single occupancy, or double occupancy for couples. Bedding is being provided. Shared toilet and shower facilities are on the same floor. The Krishna Village offers 3 double rooms (1 big bed), 4 twin share rooms (bunk bed) and 11 single rooms in former shipping containers. They have been renovated and turned into simple but comfortable accommodation, each with a beautiful wooden verandah, shared by 3 or 4 adjacent rooms. Bedding is being provided. 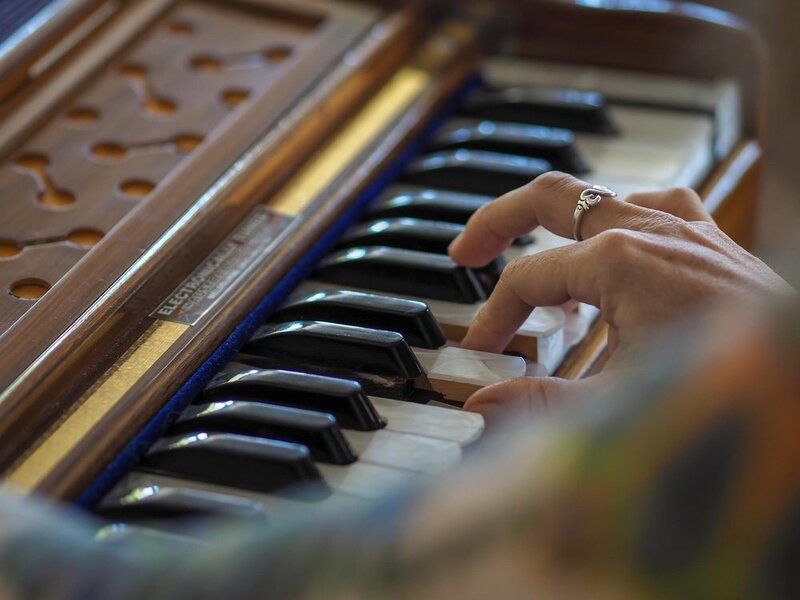 Nestled in the foothills of Mount Warning, in the heart of the Northern Rivers of New South Wales, the Krishna Farm “New Govardhana” is a 1000 acre property with orchards, certified organic veggie gardens, cows, horses, streams and swimming holes in abundance. "One of the best trainings I’ve done"